Remodeling projects can be disruptive to daily routines and kitchens and bathrooms are areas where homeowners spend a good part of their day. When the rooms are under construction, it’s important to make sure the impact is minimized. Our planning and design phase helps us identify potential problems before construction begins. This allows us to focus on the construction and the unforeseen problems that come up once the project starts. 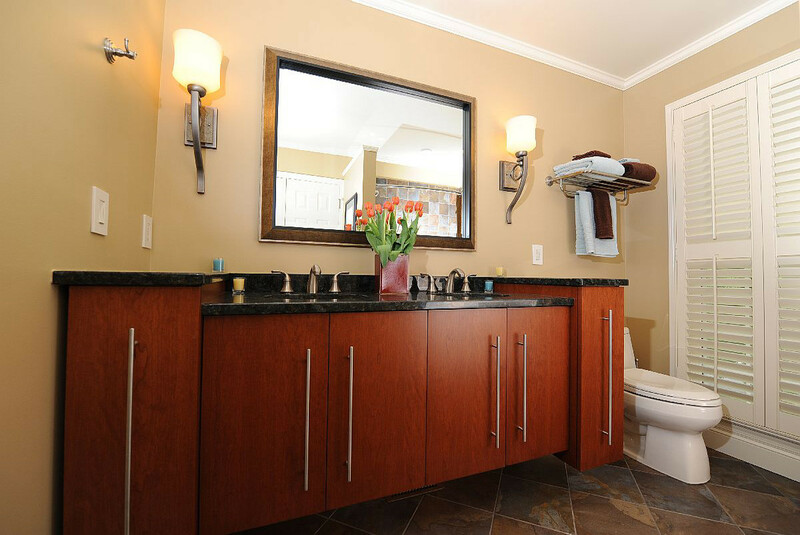 Our focus is to get our clients back in their new kitchen or bathroom as quickly as possible – without cutting corners. One of the other ways we minimize the impact of construction is to make sure everyone working on the project understands that it’s our client’s home and not a construction site. We make sure the space is swept up before leaving, that the trash is disposed of, and my personal peeve – drink bottles and any food wrappers are thrown out. The room might be under construction, but there is no reason it has to be messy. At the end of the project, we bring in a cleaning crew for a whole house cleaning. The crew is familiar with our works and the special needs of cleaning after a remodeling project. Since we design it, build it, and clean up when we finish, we take care of our clients from Concept to Clean Up. We streamline the process and are the single point of responsibility for our clients throughout the project. This all minimizes the impact of the construction on our client’s lives.